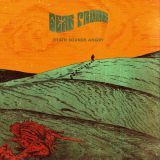 DEAF PROOF play original Psychedelic Stoner with a lot of atmosphere and soul, psychedelic fuzz. since 2013 rock J. Fredo (vocals & guitar), JP (bass) and Pedro (drums) as perfectly discordant trio. 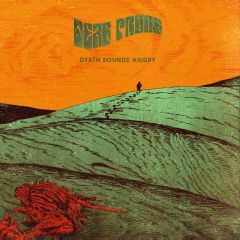 "Death Sounds Angry" (2014) is the ensemble clearly arrived at a steep creative phase: The matured sound is now characterized by an extremely complex audio experience ,they created a psychedelic-influenced parts. It is often completely without vocals to make the instrumental work better. The band leaves the comfort zone and breaks with established standards, to develop a unique style. The trio created yet extremely dynamic and complex songs, that blend into each other. This Product was added to our catalogue on Monday 26 January, 2015.